It’s all part of the Opening Minds Through Art program (OMA), which utilizes talented and energetic student volunteers to assist memory care residents in creating beautiful art. The program enables Moorings Park to expand the daily activities of a memory care patient to include creatively expressing themselves – while at the same time building meaningful relationships. OMA has several main goals including: providing individuals with dementia the opportunity to engage in self-expression, and to breakdown the intergenerational barriers between those with dementia and younger people. The program also brings awareness to the general public on the many untapped abilities of older adults with dementia. 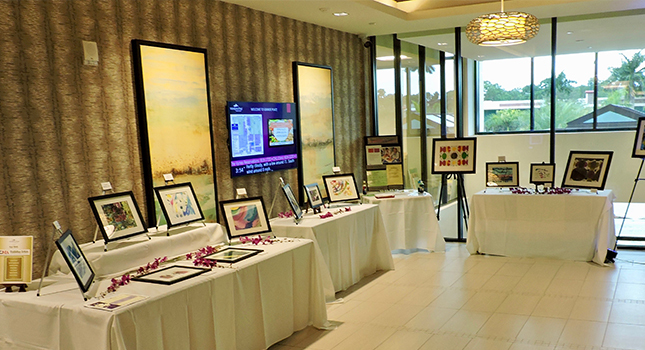 In late November, the Memory Care residents’ artwork was displayed at two different locations, The Center for Healthy Living on Moorings Park’s main campus, and just outside the ballroom at Moorings Park at Grey Oaks, which exhibited the works of art for the first time. At each location, the resident artists and the student volunteers gathered for an awards ceremony, where certificates of achievement were handed out to all participants. The OMA program has been a tremendous success at Moorings Park – and the residents have benefited from it. Not only has the artwork been exhibited on both campuses, but during the summer, previous artwork was displayed in the community art gallery of the Collier County Sheriff’s Office. 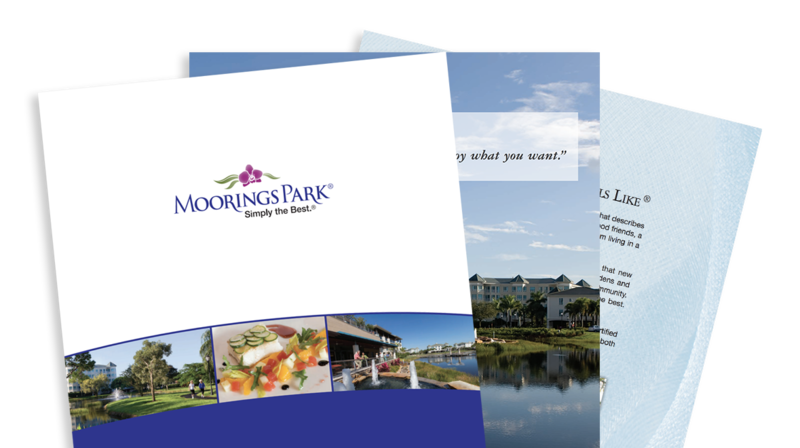 Click here to learn more about Moorings Park Assisted Living and Memory Care services.